Now that he’s temporarily relocated back home to Mosely, Montana, Jericho Crewe has a lot to sort out. Between working for his old friend and former lover at the sheriff’s office, dealing with the family he didn’t know he had, and recovering from a recent gunshot wound, he’s been busy. His inability to keep his mind off his other former lover, Wade Granger, isn’t helping matters, either—especially when buildings start exploding and bodies begin turning up. While I liked this story very much, I did have a little more difficulty connecting with Jericho. Having been a patrol cop in LA for five years, and a marine for eight years before that, Jericho’s clearly no fool. That he had the determination to reinvent himself after escaping from Mosely also speaks to a strong will and notable resourcefulness. But, he always seems to be a step or two behind here, and his ongoing confusion wasn’t as understandable to me now that he’s been back home for a while. Regardless, it was extremely interesting to watch him try to balance between his own past and present, and Jericho is likable enough that I was pulling for him all the way through. Wade, on the other hand, is still my favorite character, and his role as a “mastermind” is the best part of this series to me so far. Now that Jericho is back home, Wade seems to be shifting gears on the fly and the suspense that’s constantly generated by his actions kept me glued to every scene. It looks as if Wade had shaped his life around a missing puzzle piece, only to discover that that same piece had somehow changed its shape during its absence. Now, things are different in his world, too, and I couldn’t help but appreciate both Wade’s aptitude, as well as his frustrations. The different varieties of tension that exist between Jericho and Wade also increase dramatically in Embers. Despite his constant reminders to himself that getting involved with Wade is a bad idea, Jericho (thankfully) can’t seem to help himself. I did feel sorry for Wade, however, when Jericho’s internal conflict over the situation leads to some undeniably mixed messages. Wade is spinning Jericho in circles in other ways, though, so it’s not really surprising that Jericho has his doubts. That same sense that they complement each other nicely is still very much present, and is one of the most enjoyable components of the entire story. 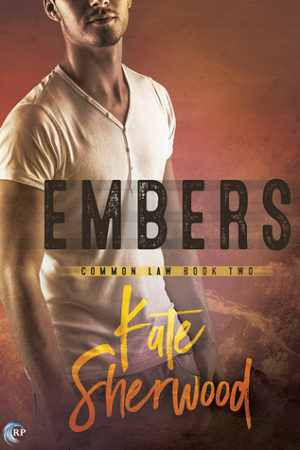 On the whole, I think Embers is a great addition to the Common Law series. While it slowed down in one or two places, the action and suspense made this story a lot of fun to read. Wade and Jericho continued to grow on me, and several times I wanted to scream at them both—in all the good ways. Regardless, this series is going to be a keeper for me, and I’m very much looking forward to whatever Ms. Sherwood has in store for them both next. Small town—big problems. Jericho Crewe is back in Mosely, Montana, trying to deal with police corruption, interfering feds, his newly discovered family members, and, of course, Wade Granger. TWITA: We are celebrating the release of the second title in your Common Law series. Can you tell us a little bit about the series and your inspirations behind the characters and setting? This is the story of Jericho Crewe, who returns to the small town he grew up in to find that not much has changed—including his attraction to Wade Granger. But while they used to be allies and lovers, they’re now on the opposite sides of the law, and struggling to figure out if they can be anything to each other anymore. For the second part of the question? I’m kind of stuck! I started writing this series a couple years ago at least (maybe more like a few) and kept getting frustrated with it and putting it aside, but then always getting pulled back to it, because I love the characters and really wanted to figure out how to make the story work. But I’ve been working on it for so long that I can’t really remember what I was thinking when I started it! So in terms of inspiration… I’m sure there was some, but I have no idea what it was. 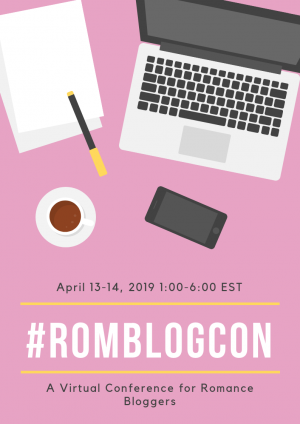 TWITA: You’ve written across quite a few genres/sub-genres (YA—as Cate Cameron, M/M, Romance, Suspense…), and your writing involves a wide range of settings, professions, ages, interests, and so forth—what do your research patterns typically involve, and do they differ from series to series? In terms of research, I’m the Queen of Facebook Contacts—when I need to know something I post a question on Facebook and people are fantastic about hooking me up with experts. I’ve gotten answers from veterinarians, doctors, soldiers, police officers… everything I could need! I keep hearing the advice to contact people directly—like, when I was trying to figure out morgue procedures in Montana, somebody told me to contact the Montana Medical Examiner’s office, so I sent them a polite e-mail, and never got a response. That’s generally been my experience with going directly to the source—I get nothing. But if I can go to the source indirectly, through the magic of friends or friends-of-friends on Facebook, I get great results! In terms of writing different ages, I don’t generally ask—I feel like I’ve got a pretty good idea on my own. I’ve worked with teenagers and I work with the public, so I encounter a lot of different ages and stages every day. And after all, I used to be a teenager myself! TWITA: It seems that you’ve written about so many things thus far—is there anything you feel particularly challenged or tempted to write that you haven’t tackled yet? I don’t think it’s a topic so much as a story style, but… I really want to write a non-romance, multi-protagonist story. I was planning to write this contemporary monster-hunters story I’ve been working on in that style, but I found myself getting really bogged down. I’m thinking about re-focusing it on just one or two characters, but I’m also tempted to just struggle through and figure out how to make it work. Not sure what I’m going to do with that! Not really… there are loads of writers I admire, but I don’t think I’d want to collaborate with any of them. I find my writing schedule is pretty erratic these days, with actual new writing just crammed into whatever spaces I can find in between editing, promo, day job, social life, etc. I wouldn’t want the pressure of trying to work someone else’s schedule into my madness! 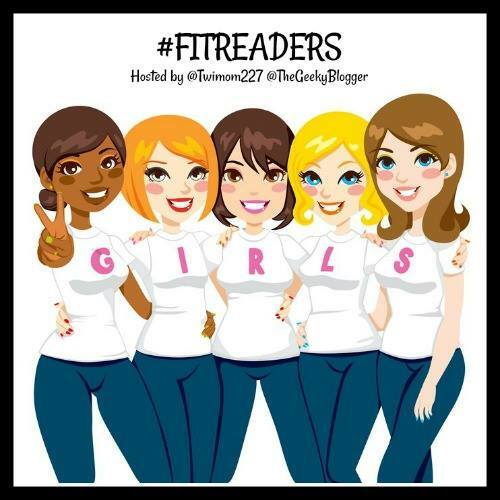 TWITA: With the ever-evolving state of LGBTQ fiction, what developments are you most excited/hopeful about? Concerned about? I’m one of those people who distinguishes between LGBTQ fiction in general and m/m romance… I do read some general LGBTQ fiction, but not enough for me to make an intelligent comment about where I see it going lately or in the future. In terms of m/m romance, though? I’m pretty excited about the—well, I’m a big believer in the idea that there’s no such thing as totally objective “quality” of writing, so I need to be careful about how I word this—the increased professionalism, maybe? Is that the right word? The smoother, more traditionally structured writing I’ve been seeing in the genre lately. I feel like there are a lot of writers in m/m who could be successfully writing in any genre or subgenre, and we’re really lucky to have them writing for us! In terms of concerns—I guess like many writers I’m concerned about the state of the industry and the market. Some of the biggest publishers in e-first romance are either struggling or have given up, and it’s pretty scary, especially for someone like me who hates self-publishing! I also hate monopolies so I keep trying to resist the Amazon juggernaut, but I just want to write, and if I have to self-publish I want to do it in the easiest, most straightforward way possible, which is, of course, Amazon. I love working with Riptide and I really enjoyed working with Dreamspinner, but I can’t afford to have too many eggs in one basket, not with the way things are going lately. So I guess I’m concerned that this little bubble of small e-first publishers giving so many writers (and readers) a chance is maybe going to burst, and we’ll be stuck with only Big Five or Amazon, without the wonderful opportunities I’ve enjoyed over the last decade or so. 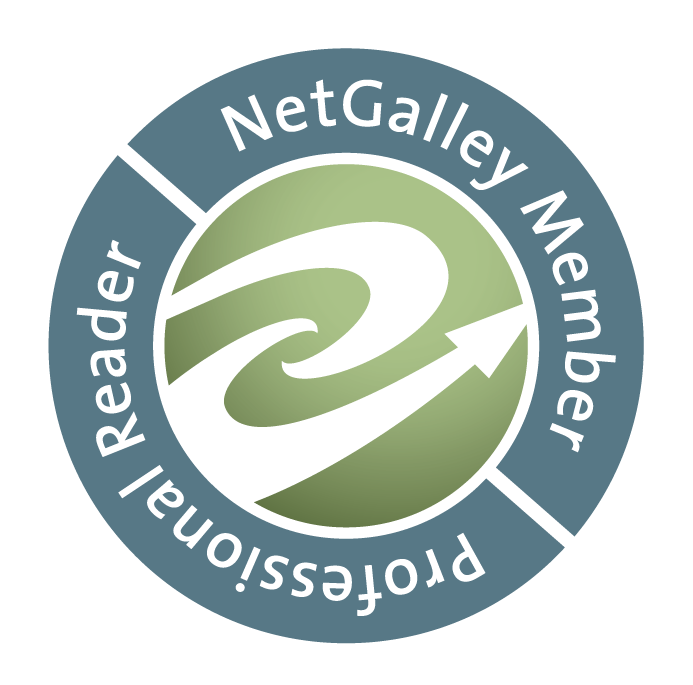 TWITA: And a little bit about your reading tastes… what was your favorite read of 2016? What are you looking forward to reading in 2017? 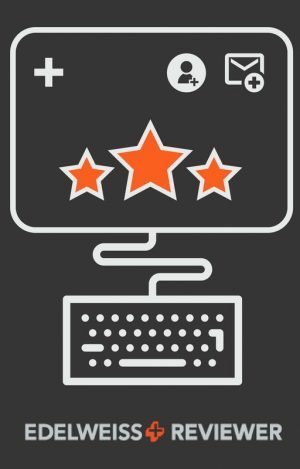 I just checked Goodreads and I didn’t have a single 5-star read in 2016… but I am VERY stingy with my 5-star ratings, so that doesn’t mean I didn’t really enjoy some of my reading last year. In the land of m/m I think my favourite author last year was KJ Charles—I’ve read her before, of course, but I feel like I really wallowed around in her stories last year, and it was glorious! I was also reading a lot of Georgette Heyer, and while I didn’t enjoy all the books I read from her, I definitely got a really favourable overall impression. She was new to me, and not at all what I expected. Fun! TWITA: Thanks so much for stopping by! To celebrate the release of all four books in the Common Law series, we’re giving away one four-tour-wide GRAND PRIZE of $100 in Riptide credit! Enter at each stop on each tour (once they go live) to maximize your chances to win! Leave a comment with your contact info to enter the contest. Entries close at midnight, Eastern time, on April 8, 2017. Contest is NOT restricted to U.S. entries. Thanks for following the Embers tour, and don’t forget to leave your contact info!